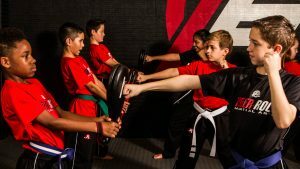 Finding the right Karate Classes in Keller TX isn’t always easy, and if you’re researching the local dojos, you might feel overwhelmed. Are you trying to find karate lessons that will help you develop your physical and mental capabilities? Perhaps you prioritize a friendly, fun environment that embraces healthy competition, or maybe you just want a dojo that has flexible class times. These qualities and more can all be found right here at Tiger-Rock Martial Arts of Keller. TRMA has been steadily growing ever since our founding back in 1983. With over a hundred locations nationwide, we are currently the most popular martial arts franchise in America. You can trust our certified instructors to give you the guidance you need to master Korean Taekwondo. This isn’t something that happens overnight, and it will take time. However, as long as you fully commit yourself to our program, you will see improvements and progression. Our team is ready to help you become the best version of yourself. Are you someone who takes great pride in physical fitness, but you’re currently very unhappy with your physical capabilities? Perhaps your typical walks and exercises are beginning to become much more strenuous than you remember them being. Working out and exercising regularly can be a true difference-maker in all of our lives, but the environment is crucial. If you can’t seem to get a hold of your physicality and you’d like us to help, we’ve got solutions for you. Did you know that martial arts are one of the best ways for you to exercise your entire body? The drills, exercises, and routines we put you through will give your muscles the stimulation they need to grow and develop. Head height kicks, jumping kicks, strikes, and other exercises that promote form and diligence will be perfect for you. While it will not always be easy, you can count on us to provide you with top-notch support, guidance, and experience. Keeping your body in check is something that our Karate Classes in Keller TX can do. However, keep in mind that life is a lot more than just your current level of physical fitness. Are you going through lapses in focus, and you feel like your concentration isn’t where it needs to be? Perhaps you’re dealing with other forms of a lack of mental discipline and you don’t know how to fix this. While you might feel isolated and alone, know that many of our students have experienced the same exact thing. It can be difficult and downright discouraging not feeling at your mental peak, we can help you get back to where you once were. Engaging and committing yourself to a martial art is one of the best and healthiest things you can do for yourself. You’re probably looking for an environment that’s able to give you the support and criticism that you’ll need to get better. Your mental and physical capabilities are priceless, and you’re going to want a dojo that has your best interest in mind. 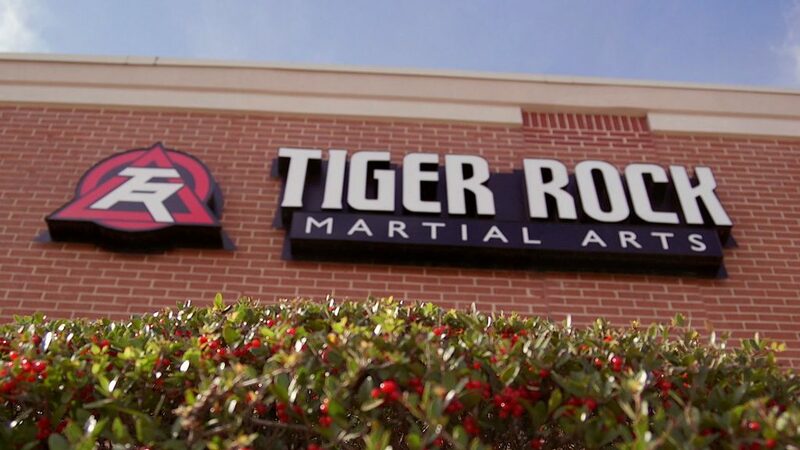 Choose Tiger-Rock if you’re looking for the best karate classes in Keller. Competitiveness is a big part of Tiger-Rock, and it’s something we encourage all of our students to take advantage of. 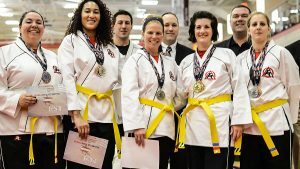 If you’re someone who enjoys competing and sharpening your skills against your peers, TRMA has a number of competitions for you to participate in. We have regional, statewide, and nationwide tournaments on a yearly basis. These events give our pupils opportunities to meet other students and be a part of a healthy, competitive environment. We highly suggest you take advantage of these tournaments. Are you doubting your ability to attend classes due to your hectic schedule? If you’re someone who travels a lot or works demanding jobs with long hours, you may be hesitant to join a karate dojo in Keller TX. This is something that deters some potential students, but you’ll be able to enjoy a plethora of flexibility here at Tiger-Rock. We encourage our students to take advantage of our numerous class times. If you’re someone who needs a dojo that provides you with flexibility, this is the place for you. We’re constantly adding class times to our schedule; visit our studio for more information! We want our students to have a great idea of what to expect when they come to our dojo. Because of this, we have developed an introductory course package that will give you the best possible idea of what’s to come when you join our classes. We want everybody to know what they’re getting into, and with this package, you’ll be able to join three classes! After that, we will have one of our certified instructors give you a personalized performance evaluation so you can know where you’re at. Our team wants you to have the right guidance, and people expect a lot out of our brand. With our staff helping you along your journey, you won’t be disappointed! If you’re trying to find the best Karate Classes in Keller TX for you and your family, Tiger-Rock is here to help. Our martial arts experts and certified instructors are here to help you grow and transform your mind, body, and soul. If you’re ready to start learning Korean Taekwondo, our team is here to help you every step of the way. Contact our dojo today to receive further information about our classes. We’re ready to jumpstart your transformation! Keller is a small town located in the Tarrant County of Texas. It is considered to be a part of the Dallas-Fort Worth greater metropolitan area. Our city began back in the 1850s and was named after a railroad official. Today, we have become a great resource for the greater part of Texas. In the olden days, farmers and traders were a big part of our communities. This was a very popular place for raising cattle, trading, and farming. Today, Keller has become a very modern community that embraces our diverse citizens. We’re always improving, and our city is ready to reach new heights.